There are many activities that families can provide at home that help ready your child for school. Read with your child every day. Reading is the foundation that builds all other knowledge. 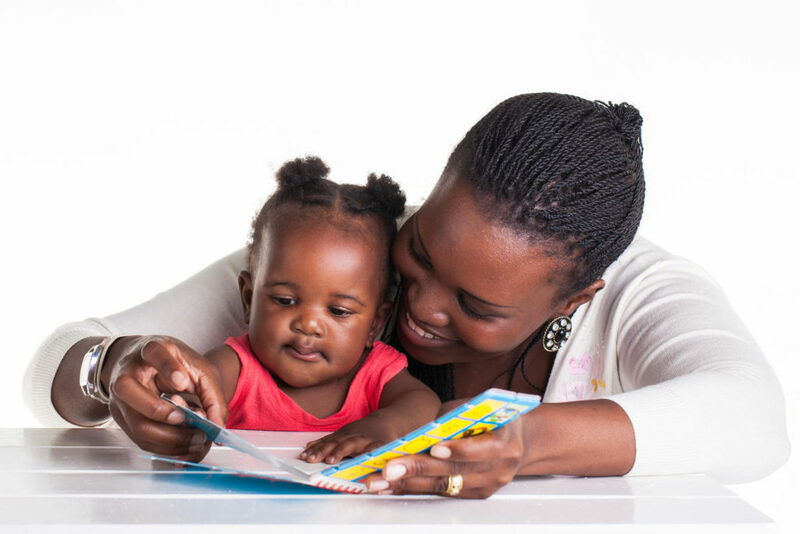 Reading helps to create schema in your child’s brain. Think of your child’s brain as the foundation of a building. When the foundation is sturdy, a house can be built on top of it. When your child has many good experiences, hears lots of words, asks questions, visits museums and farms, your child’s brain is building that sturdy foundation. Future learning is built on what your child learns during her first three years! So besides building this sturdy brain schema, what else should your child know and do before going to kindergarten? Practice having your child state and write his first and last name. Instead of using a pencil, let your child learn through his senses. Fill a tray with cornstarch or cornmeal and practice writing his name with his finger. To build finger strength, offer 30 minutes a day of Playdough play. This builds the fine motor muscles that enable him to hold a pencil with a tri-pod or three-finger grasp. Well-developed finger muscles help him cut well with scissors. Make grocery-shopping fun by asking your child to tell you the letters on the groceries. In the fruit and vegetable section, talk about what grows above and under the ground. Ask about shapes and colors you see in the store. Go on a neighborhood walk. Count your steps with your child as you walk. Watch the cars and ask about the color of the cars and the houses you pass. As you walk, sing rhyming songs, songs that use different sounds or made-up funny songs. When you get home, have your child retell what she saw in the neighborhood. What did she do first, second and last during the walk? What did she see? As you can see, helping your child develop the skills needed to be successful in kindergarten is not all about using pencil and paper and learning rote skills. Rather, it is about having the opportunities and experiences to develop the necessary skills. In the next edition of Tribuna, I will write about helping to develop your child’s social and emotional skills. Remember to register your child early for school. Do it now. Registration takes place Monday through Friday from 8:00 am to 3:30 pm, with evening hours on Wednesdays from 4-6 pm, except for Wednesday, March 1. For more details about registration, please visit https://sites.google.com/a/danbury.k12.ct.us/schoolregistration/. My door is always open at the FACE Center at 49 Osborne Street for your questions and comments. I look forward to seeing your family soon.